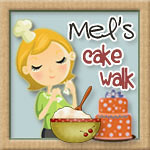 I saw your work over at Adventures in cake Decorating and I was FLOORED by your stilettos!! All I can say is WOW!!! I think those were/are the most realistic gum-paste shoes I have EVER seen!!! Amazing job!!! Roxanne they looked so real! Are these original designs or replicas of real shoes? If these are your creations, you may want to consider shoe design for feet instead of mouth as well. I love the attention to detail. Fantastic. THIS IS AMAZING!!!!!!!!!!!!!!! U ARE AMAZING!!!! i can not stop looking at your amazing talent!!!!!!!!!!! My father was a shoes maker and we family had a shoes fabric,now I try to make in sugar,,your shoes really is looklike my father style. Do you use a gum paste or a mexican gum paste? I am very happy you have seen my blog. I hope pne day to meet you and have some class too. I have read all your blog and you encourage me to keep in this way. Iam traying to make one shoes like your red shoes,when is ready I'll out in my blog and send message here and in my facebook too.